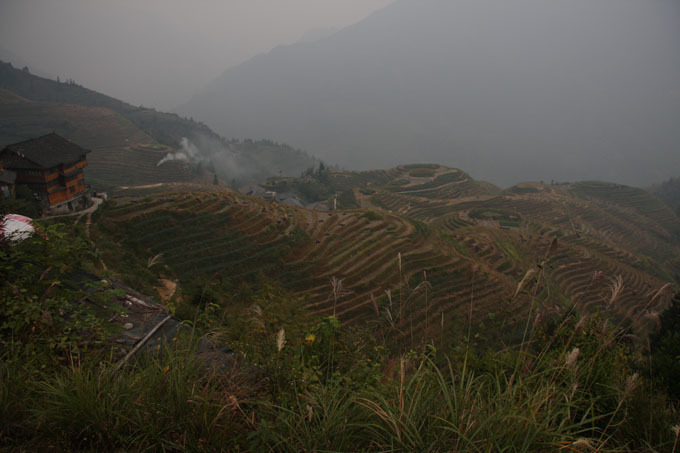 We tried to get up for sunrise on the rice terraces but our efforts were a bit halfhearted as we were expecting a cloudy and misty day. 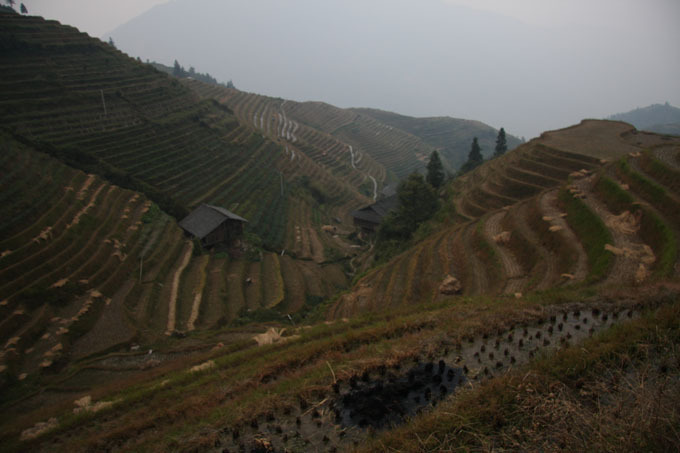 Admission to the viewing point/village was 80 Yuan each, but as it also included an overnight stop with great views …. not too bad. We got up at six, but by the time we got the camper cleared up and were ready for the hike it was already 6.30am and already fairly light. 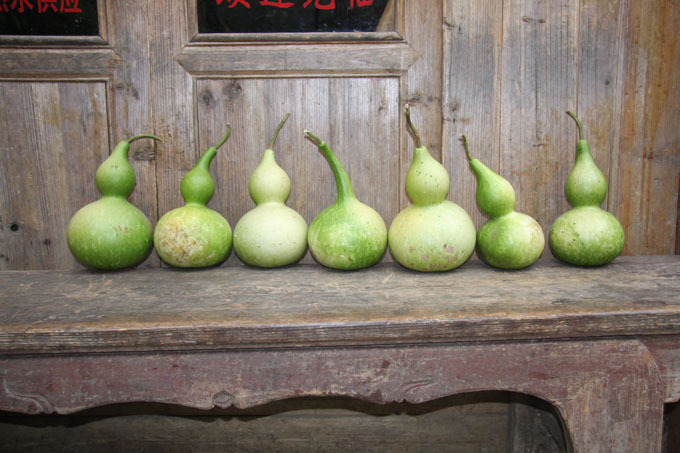 You can be lucky with the weather here, but lots are not …. including us. It is still a nice walk in the mountains and the scenery very pleasant. 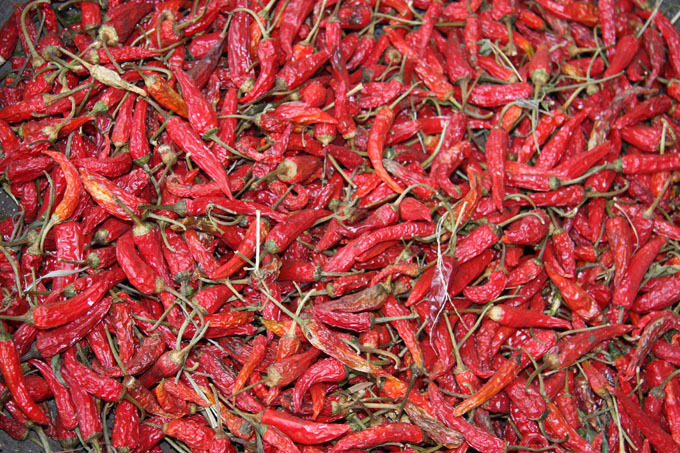 The village is interesting in its own way, but is mainly craft shops, hotels and cafes offering both western and Chinese food. It is priced based on a captive market and so things a little more expensive than normal. Outside the tourist season people still farm and you see interesting crops along the way. 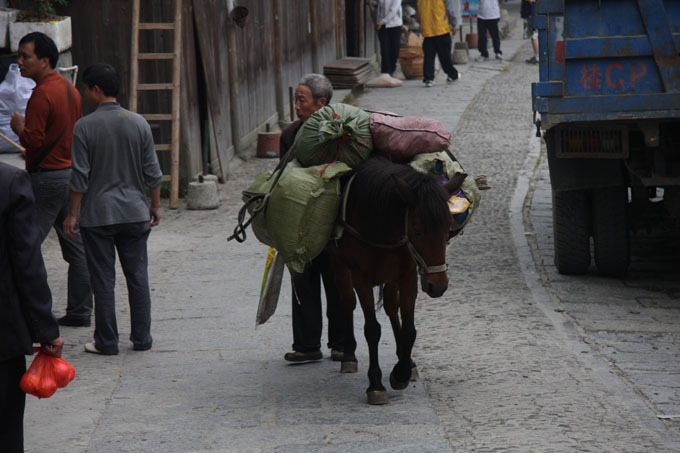 Because everything has to be carried up to the village without cars we saw mules being used to carry everything from bricks (in special hods) to huge heavy loads of vegetables and groceries. This poor creature could barely stagger up the hill. Only continuous whipping got him to keep moving. Overall in the areas that we have been to we have seen very little use of horses. Lots of water buffalo though. As we were leaving the carpark we met a Dutch man called Ronald who worked in a resort hotel in Yangshou. We decided to see if they had rooms as we needed to catch up with the website and do some washing. 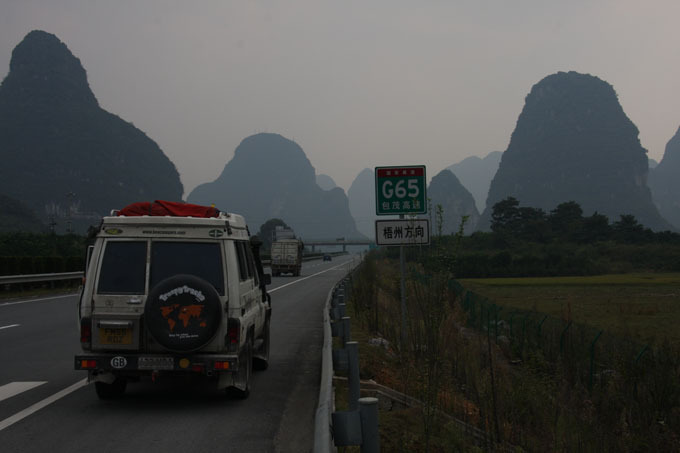 After a long delay on the road to Guillin (another accident) we made it to the freeway (G65) that takes us most of the way to Yangshuo. 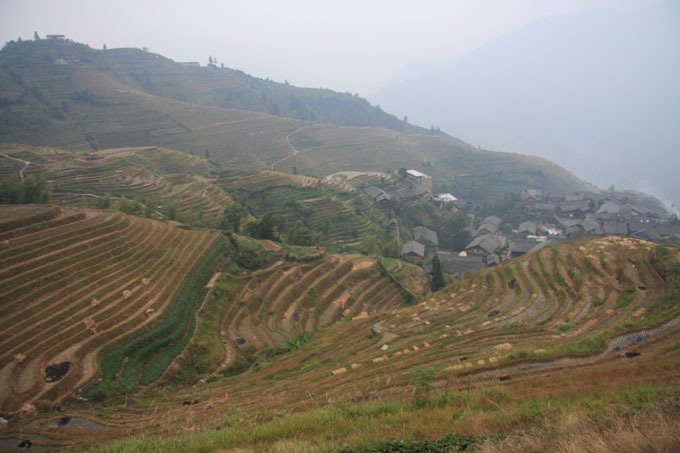 We visited the Yangshuo Mountain Retreat (where Ronald worked) which was in a great location, but no rooms. We settled for a small hotel in town and booked in for two nights. 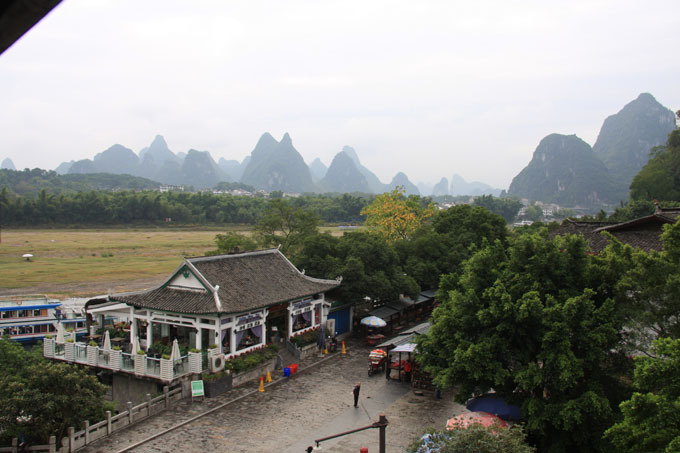 The view out of the room was good and it was only a short walk to West Street where it all happens in Yangshuo!